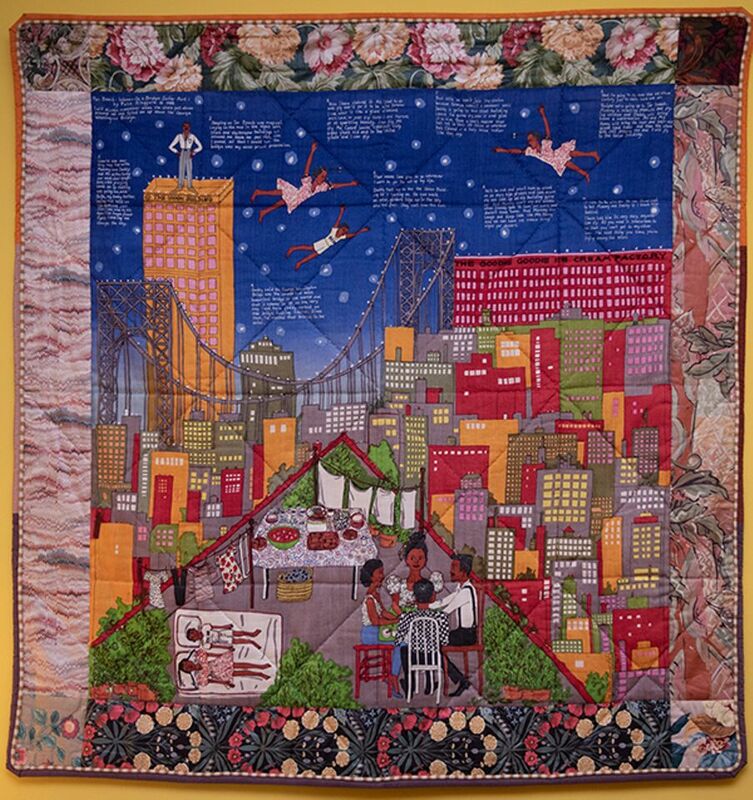 She Persists: a Century of Women Artists in New York, 1919-2019 at Gracie Mansion, the official residence of the New York mayor, brings together more than 60 works by female-identifying artists who have deep connections to the city. The exhibition aims to celebrate the often-undervalued contributions of artists who “overcame considerable obstacles in order to create”, New York’s first lady Chirlane McCray said at the show’s opening. Works by artists such as Faith Ringgold, Kara Walker, Lee Krasner, Martha Rosler, Carmen Herrera, Alice Neel—and McCray’s mother, represented by three fabric dolls of colour she made when few such dolls were commercially available—are installed throughout the public rooms. The curator Jessica Bell Brown says that the show “conveys that women are powerful beyond measure and have used art as a platform to engage with the some of the most complex issues our time”. The 40 projects in The Road Ahead: Reimagining Mobility (until 31 March) at the Cooper Hewitt, Smithsonian Design Museum explore how transportation might change in the future, and make us radically rethink our whole urban landscapes. How can we make transportation more equitable? What would make people feel safe in driverless cars? How can we repurpose parking decks? The exhibition hits the Cooper Hewitt’s sweet spot of thought-provoking, cutting-edge design with hands-on fun. The interactive 2018 project CityScope by the City Science Group, MIT Media Lab gives two “extreme versions” of a future city with driverless cars: a stressful scenario in which machines clog roadways, and a utopian future in which people have reclaimed use of the streets through innovative transportation. The project lights up, mimicking movement on roadways, and visitors can swap out “buildings” to see real-time effects of different city densities. Turn Gallery’s two-person show, Appetite of Ghosts (until 17 February), brings together the wildly different work of two artists separated by a generation, yet who nonetheless have plenty in common in their quest for a holistic female identity. Marcia Resnick’s sparse black-and-white photo series from the 1970s, Re-visions, explores the anxieties of female adolescence, and the desire for independence in a restrictive society, through wry snippets of text paired with young women staged in odd positions. Meanwhile, 36-year-old Meg Franklin’s semi-abstract, flesh-coloured paintings on velvet, reminiscent of traditional women’s clothing like corsets and buttoned shirts, suggest a desire to be touched that is kept covered up.